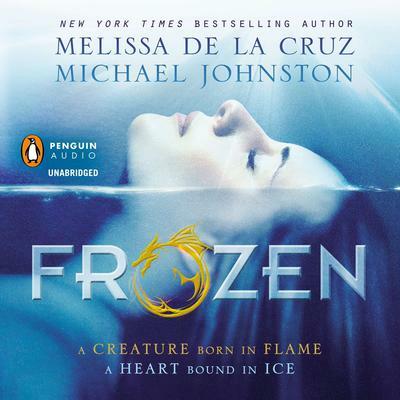 From New York Times bestselling author Melissa de la Cruz and Michael Johnston comes this remarkable first book in a spellbinding new series about the dawn of a new kind of magic. Welcome to New Vegas, a city once covered in bling, now blanketed in ice. Like much of the destroyed planet, the place knows only one temperature—freezing. But some things never change. The diamond in the ice desert is still a 24-hour hedonistic playground and nothing keeps the crowds away from the casino floors, never mind the rumors about sinister sorcery in its shadows. At the heart of this city is Natasha Kestal, a young blackjack dealer looking for a way out. Like many, she's heard of a mythical land simply called “the Blue.” They say it’s a paradise, where the sun still shines and the waters are turquoise. More importantly, it’s a place where Nat won’t be persecuted, even if her darkest secret comes to light. But passage to the Blue is treacherous, if not impossible, and her only shot is to bet on a ragtag crew of mercenaries led by a cocky runner named Ryan Wesson to take her there. Danger and deceit await on every corner, even as Nat and Wes find themselves inexorably drawn to each other. But can true love survive the lies? Fiery hearts collide in this fantastic tale of the evil men do and the awesome power within us all.